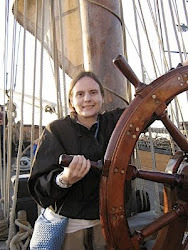 So a sister of a close friend of mine is very sick with cancer. Cancer is just horrible, period. But it's so awful when everyone in that family is so very nice and sweet and struggling with so much right now. And aside from praying, it doesn't sound like there's much to be done. 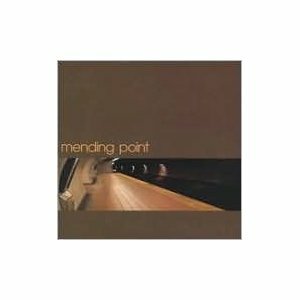 I was listening to my MP3s on the way home from work and "The Only Constant" by Mending Point comes through the cycle. I've had that album since probably 2003. I don't even know how many hard drive crashes that particular MP3 has survived, and I've listened to the song probably 15-20 times this year alone just because I don't have a giant rotation of songs. If you actually listen, the song's meaning is blindingly obvious. But for some reason it never occurred to me until that moment that the entire song is from Jesus' point of view. The veil was lifted, so to speak, at just the moment when I could be moved by Jesus' love. I'm not at all an emotional person, to put it mildly, but my eyes got hot with tears, and I even felt a few fall, driving down the freeway. Sometimes things just hit you. God will always love us and nothing can take that away. Rest of the lyrics here. Since the album's 8 years old, the songs aren't on YouTube that I could find, but you could buy it online at places like Amazon (in CD version!). Well, 11 words from your mother. What a dear, dear young woman you are.